“Divorce” means that the couple is no longer legally married by order from a court. Based on the facts of the marriage, a judge has ruled that the parties are no longer married, so long as the parties have been separated “mutually and voluntarily” for at least 6 months. “Separated” means that the couple is living separately with no other real implications. “Legally separated,” based on the DC law, means that the parties to the marriage are no longing living together or engaging in sexual relations. This is usually a step towards getting a divorce. The main difference between a divorce and a legal separation is the amount of time the parties have been living apart with no cohabitation (cohabitation=sexual relations). For example, in DC a divorce can be granted if the parties have been mutually and voluntarily separated without cohabitation for six months. While a legal separation can be granted under the same grounds, a legal separation doesn’t have the same effect of a divorce. 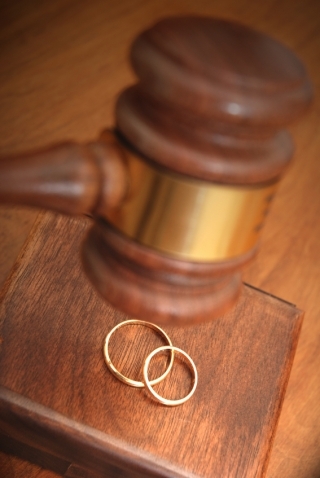 A divorce legally separates two people. Mr. and Mrs. Smith become Mr. Smith and Ms. Jones. Their property and debts are divided, child custody and support is determined if applicable, and a creditor cannot go after the other spouse after a divorce is granted. Most basically, a physical separation is necessary to be considered legally separated or to be granted a divorce. Each step is part of the process to go from a legal entity as a married unit, to two separate legal persons. Each step has a different criteria, and different impacts on finances and other areas of everyday life. It is important to remember that each step on the divorce continuum is seen differently by the courts, and by the law.